What defines a well-cultured man? We’d say a good pair of shoes, a wallet, belt, a watch and good cologne. But, that isn’t all – the missing part is perfectly styled hair. We aren’t going to delve into your accessories and how you dress but concentrate on where it matters – your hair! A good hair bed will only make you look like the gentleman you want us to see if you style it and it maintains the hold all day. For this, you have to get the best pomade for men. There are many other hair styling products, but we highly recommend pomades. Seeing as we all have different hair types, you have to get a pomade specific to your hair. The search is arduous, and you may lose faith or pick the wrong pomade if you go shopping without help. However, you shouldn’t worry about any of that. We put in the hard work for you, and we have a review of the best pomade for all hair types. Thick hair is beautiful but difficult to maintain since it doesn’t stay down easily. However, this Suavecito Pomade Firme Hold easily conquers thick hair. It gives the strongest hold and a medium shine. As a water soluble pomade, it washes away easily despite being thick. The Layrite Super Hold Pomade offers as strong hold on your thick hair maintaining your hair style all day long. It offers as medium shine, but your hair will still have a polished shine. It doesn’t flake, and it works well for slick back styles. Go for that slick back hair style with this Imperial Barber Grade Products Classic Pomade which is water-based and one that works well on thick hair. Rinsing it out is easy, and it offers you a medium sheen. For the strongest hold on your thick hair, try this Axe Spiked Up Look Styling Putty which works well for short to middle length hair. You will get a strong hold and a natural finish on your hairstyle without using a lot of the styling product. This Uppercut Deluxe Pomade made in Australia has a sweet and subtle coconut and vanilla scent, and it dissolves in water easily. It gives a medium shine and a medium to strong shine. The American Crew Pomade For Hold and Shine is ideal for curly hair thanks to its high holding power and a good shine. It is enriched with Ginseng root, lanolin, and castor which nourish hair leaving you with styling and healthy hair. It is important to have pomades that meet the needs of all hair types. This Pomade for Men by Smooth Viking offers a medium hold and a high shine hence it’s the ideal pomade for straight, curly and thick hair. The strong hold and the matte finish of this Baxter of California Clay Pomade and the infusion with natural ingredients such as beeswax and clay make this a suitable pomade for most hair types. The price may be above your budget considering the size. Dapper Dan Deluxe Pomade from the UK gives off a medium hold and a medium shine. It is the ideal pomade for hair styling for every suave man. It is water-based, and you get to restyle and reshape your hair whenever you need to. This is, also, the best smelling pomade. While this Reuzel Blue Strong Hold High Sheen Pomade works on just about every type of hair, it proves more effective on coarse hair. Though water-based, it has a strong and a heavy hold like that of wax. Fortunately, it rinses out easily. Most guys with thin hair envy the men with thick hair. Thick hair looks good, and it may indicate that you have the heaLthiest bed of hair or that you have great genes. Unfortunately, even such enviable hair comes with downsides – it isn’t the easiest to manage or style as it doesn’t stay down for long. Waxes and gels can’t get the hair down as well as pomades do but, you have to find the best pomade. In this case, this Suavecito Pomade Firme works great, holding down a hairstyle all day. It has a thick consistency which means that you will not be able to use it on thin hair. Fortunately, you can get a pomade for your thin hair type from Suavecito. It won’t be as thick. Even though it is has a thick consistency, you won’t have to use deep cleansing shampoos as you would with a gel or wax. This pomade has a high solubility in water. This pomade offers a high styling versatility, and you can pull perfect side parts, pompadours, or slick back hair styles. Combing and styling hair is easy with this pomade because it offers a sturdy grip that which enhances the flexibility of styling. The ingredients used in this pomade are safe and not harsh on your hair or the skin. It is easy to apply. It doesn’t leave the hair feeling greasy, and it doesn’t flake. This is a suitable pomade for anyone looking for a medium shine. It has a creamy consistency responsible for a healthy and a vibrant shine on the hair. If you are looking for more shine, dub your hair with some water. This pomade has an active and somewhat unusual ingredient – tobacco. Contrary to what you think of tobacco, it has some positive effects; in this pomade, it works well in eliminating dandruff (a major issue for people with thick hair) and enhancing healthy growth of hair. Therefore, this pomade is handy for the treatment of alope﻿cia area﻿﻿ta. Whether you have thick hair because you take good care of your hair and you have more hair follicles, or you just have good genes, styling won’t be breezy. Despite looking healthy and beautiful, thick hair doesn’t stay down or maintain hairstyles for long. For you to look great in a slick back throughout the day, you will want a pomade with a super strong hold. This pomade has a thick consistency, and it holds down your hair for extended periods. It has a medium shine, and it blends into your hair seamlessly creating a natural feel. The consistency and the texture of this pomade leave hair feeling soft and smooth all day long. With water solubility as the other significant feature of this pomade, you won’t have to shop for deep cleansing shampoos to rid hair of the pomade. The jar also gives you great value for money – the price is great for the quantity of the pomade. This water-based pomade is made using water conditioners which are derived from coconut oil and castor oil naturally. These natural ingredients smoothen the hair by deeply locking in moisture in the hair shaft hence that lustrous, non-frizz and medium shine. It dries firmly, but hair doesn’t feel stiff or hard. Thick hair will only hold a style if you are using a hair styling product that offers a super strong hold. That is the reason why this is one of our best pomades for thick hair. This pomade offers the strongest (industrial-strength) hold on the thickest hair because of its thick consistency. Because of the thick consistency of the pomade, you don’t need to use half the pomade for it to maintain a hold on your hair. Despite the thick consistency, it is easy to clean out. It is water soluble, and you get it out using water. Being water-based, you can restyle it during the day with a dub of water or wet fingers. You can use it for different hair types, besides thick hair and it holds down curly or wavy hair perfectly. This pomade lets you pull the pompadour, slick back and side parted hairstyles. It gives a medium shine. It has a subtle fruity scent. It holds better when applied on damp hair. You get great value for the price of a 6oz. water-based pomade. Thick hair that is short to medium length may be hard to maintain, and if you are looking to pull one of the most structured hair styles, you have to use a styling agent that has a powerful hold. This Axe Spiked Up Look Styling Putty is one of our strongest hold hair pomades (putty), and the hold is long lasting. You can use it to craft highly structured and precise hair styles giving your hair the attitude necessary to last the day or night. For your hair to remain flexible and to stay in power, you have to get a natural finish and a strong hold from the pomade; this is what you get from this styling putty. You can easily pull off a Mohawk with this hair styling product. For a pack of three 2.64 ounce Axe Spiked Up Look Styling Putty jars, this product gives you great value for your money. It is easy to use, and you don’t need to use a substantial amount for you to achieve that desired hold and style. Just rub a little putty between your fingers and your palm then spike up your hair. Uppercut Deluxe Pomade is an Australian-made water-based pomade that offers a medium to a strong hold and a medium shine on hair. It has a unique formula which makes for the consistent texture that results in soft hair that is easy to restyle. And, despite having a thick consistency, it doesn’t weigh down hair. You can use it to achieve a quiff, a pompadour or a Mohawk hair styles. Uppercut Deluxe Pomade has the finest ingredients incorporated into it; hence it promotes healthy hair while maintaining hair styles. Being a water soluble formula, it washes out easily, and you won’t need to buy deep cleansing cleansers. This also means that the pomade doesn’t lead to hair damage. Keep in mind that the pomade’s consistency is more like that of a gel and you will get a firmer hold when you apply it on wet hair. It is water soluble, and it washes out easily. It is a little difficult to hold down curly hair all day – scratch that! It is extremely difficult to hold down your curly hair when you don’t have the right styling product. Fortunately, this American Crew Pomade does a great job of holding down a hairstyle while maintaining a medium to a high shine. This is the ideal pomade for slick back hair styles. You can also use it if you have straight or slightly long hair. It gives a medium hold which is what your curly hair needs to look presentable. As a water-based formula, it offers a smooth feel on the hair as well as a smooth shine. The smooth feel on the hair also comes from the smooth consistency and the texture of the pomade. You can rinse it out of the hair easily, and you won’t have to worry about flakiness when using this pomade. The main ingredient of this water-based pomade is water and lanolin, ginseng root and castor beans. Lanolin deeply moisturizes hair by locking in existing moisture and moisture from the environment. Lanolin also works as a great moisturizer which is necessary for curly and even thick hair. It is deep, and it penetrates into hair making it more manageable. Ginseng root stimulates hair growth by boosting proliferation of dermal papilla cells enhancing regeneration of hair. It also improves the health of hair follicles by increasing blood supply to the scalp. It is, therefore, effective in combating hair loss. Castor beans have castor oi﻿﻿﻿﻿l which is rich in ricinoleic acid. Ricinoleic acid is an omega-9 fatty acid which nourishes hair follicles enhancing the growth of hair. Therefore, using this American Crew Pomade styles and makes hair healthier. When you have thick, curly or straight hair, you may be unsure of the styling product to use. Some pomades work for thick hair, yet they fail to satisfy the styling needs of straight hair. So, having a pomade that cuts across and meets the needs the different hair types is important. This Pomade for Men by Smooth Viking is water-based. You can rinse it easily, and if bored by a hairstyle, you can restyle it easily with a little water. It is easy to use. With this pomade, you can pull off a modern, classic, formal or a casual hairstyle. It has a smooth texture and consistency that makes application or manipulation pretty easy. When looking for a pomade, you look for one that will give your hair a good hold and also a pomade that has some level of shine. However, when you need your hair to look as natural as possible, the pomade of choice is the one that has a matte finish. This pomade is made of two main ingredients, clay, and beeswax. These ingredients are essential for the pomade’s strong hold on hair. The industrial-grade hold of this pomade and that almost natural matte finish make this the ideal pomade for thick and curly or straight hair. The other natural ingredients of this pomade are sage oil leaves, lemon peels, and fennel which give the pomade a fresh and a delightful herby scent. Baxter of California Clay Pomade keeps every strand of hair in place without creating an oily sheen. Your hair style of choice remains pliable all day. For a medium hold and some level of styling flexibility, you may want to consider getting this pomade. It has a moderate shine factor, and this makes this an ideal hair styling product for anyone looking for that suave style of 1930. 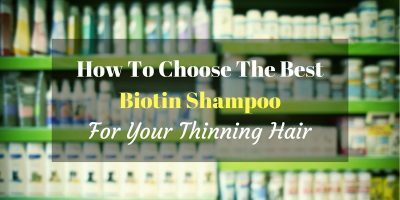 It is water soluble, and it works well in taming your hairstyle. It is one of the most versatile, professional and slick hair styling pomades that lets you tame your unruly hair into any style you’d like. It will prevent your hair from getting disheveled because of the strong styling grip it offers. It doesn’t harden too much as it remains pliable letting you restyle your hair in the day. This pomade has one of the most powerful holds on hair. It works well on most hair types but works best on coarse and textured hair. It is pretty strong, and it compares to wax, however, thanks to its water solubility, it rinses out easily. It is easy to use because of the thick consistency – this also means that you will have to use a little pomade on hair. The thick consistency is the reason why you can easily use this pomade on textured hair. It doesn’t dry hair. Your hair will remain soft and pliable after application. It doesn’t flake. You will also like it because it creates a polished look for any hair style you desire. The high concentration of the pomades lets you create pompadours and quiffs as well as slick backs. It smells great thanks to the perfect blend of the pomade with a subtle and warm vanilla wood fragrance. It works well on stubborn and coarse hair thanks to the thick consistency. From these ten products, it is clear that you can get confused easily when shopping for the best pomade for men. Choosing the best pomade requires a little more knowledge on hair styling pomades. Here is our guide to choosing the best pomade for men. Well, even though some men have a preference for gels and waxes, more men prefer pomades because they offer a slick look. You can only use a pomade for a hairstyle such as a pompadour, a slick back, quiff, a side part or an undercut. You cannot get these hair styles using waxes or gels. There are two main types of pomades for men: water and oil-based pomades. Your choice of pomade depends on your desired look as well as your lifestyle. Water-based pomades offer less shine than oil-based pomades but, they are more versatile. Oil-based pomades are grease-derived hair styling products, so, they are slicker, shinier and they offer a strong hold. 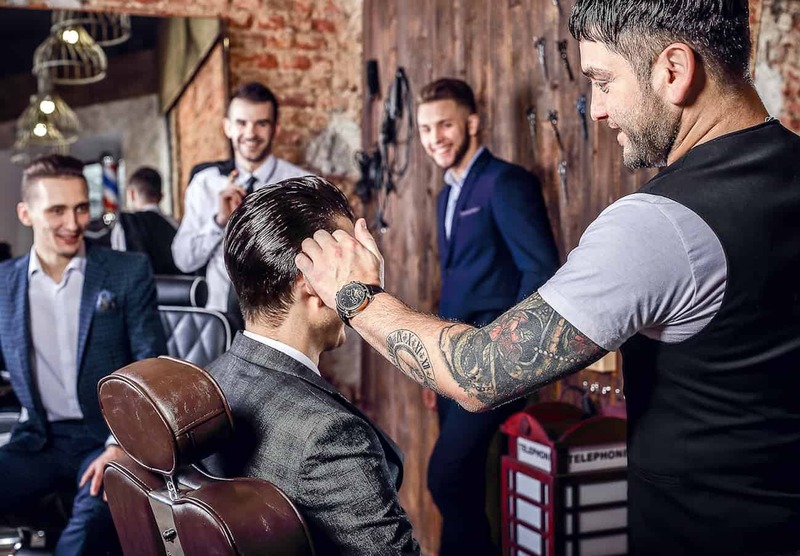 But, these benefits of oil-based pomades come with a big disadvantage – washing out an oil-based pomade is difficult, and you will need to buy a deep cleansing shampoo to get the pomade out. This costs more and means you’ll spend more time washing hair daily. At the same time, pomades with an oil base may cause acne breakouts if you have sensitive skin. For these reasons, we recommend the use of water-based pomades. Some pomades will work better on your hair compared to others depending on your hair type. If you have extremely thick hair, then the Suavecito Pomade Firme Hold is your best shot. This pomade offers a firm hold and a medium shine. It has natural ingredients including tobacco which encourage healthy development of hair. There also are hair pomades that work on all hair types. Baxter of California Clay Pomade works well on thick, wavy, curly and straight hair. The ingredients in pomades determine their effects on hair. Besides the ingredients for the pomade’s strong hold, you should also consider products with ingredients like lanolin, ginseng root, castor oil coconut oil, Shea butter, aloe vera or argan oil. 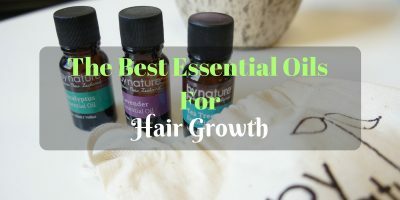 These plant-based components help in enhancing the health of your hair. Avoid pomades with ingredients like Polyethylene Glycol and Isopropyl Alcohol because they damage hair and the scalp by drying out moisture from the scalp and the hair. How will your hair feel like after you apply pomade? Since we have different hair textures, the pomades will behave differently on different hairs. For example, you have to get pomades with a powerful hold if you have thick and curly hair. For fine hair, you should opt for pomades with a light to a medium hold. You should use a small amount and then blow dry it since thin hair needs a product that will add volume. Pomades give a medium to a strong hold on hair. However, you should keep in mind that the hold depends on the texture and type of hair. 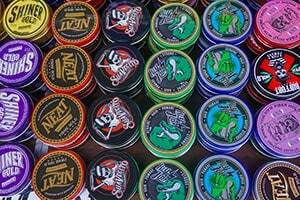 You have to keep in mind the smell of the pomade because it determines how you will smell like. Most pomades have a subtle fragrance that can be herby or fruity. Most pomades allow you to apply it on wet or dry hair depending on whether you want your hair to be glossy with a strong hold or almost natural and with extra volume. Applying it on wet hair creates a gloss and application on dry hair creates a matte finish. Do you now know your best pomade? Well, we do, and we have a few favorites depending on your hair type. For th﻿﻿ick hai﻿﻿r, the Suavecito’s Suavecito Pomade Firme Hold is the best it. It has a thick consistency and penetrates hair evenly. It washes out easily, and it has a medium shine. It has a subtle smell. For curly hair, the American Crew Pomade by American Crew is our best. It is enriched with natural ingredients like ginseng root, lanolin and castor oil. It has a sweet and subtle scent. It gives a strong hold and a medium to a high shine. Our best pomade for coarse﻿﻿ hai﻿﻿﻿﻿r is the Reuzel’s Reuzel Blue Strong Hold High Sheen Pomade. It has a pretty thick consistency, and though it has a strong hold, your hair will still be pliable. We also have pomades that work well on all types of hair including thick, wavy, straight and curly hairs. Our best product in this category is the Baxter of California’s Baxter of California Clay Pomade. It has clay and beeswax which makes it versatile. Which is your best pick? 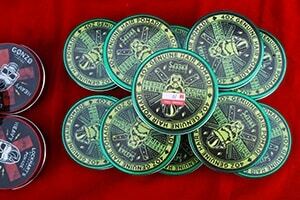 Note that if you feel confused, you should opt for the best overall pomade; Pomade Firme Hold by Suavecito. It has all the characteristics that make styling and maintenance of hair easy. You will get good value for your money, and it smells great. The best feature is that it is unisex and you can share it with your spouse!